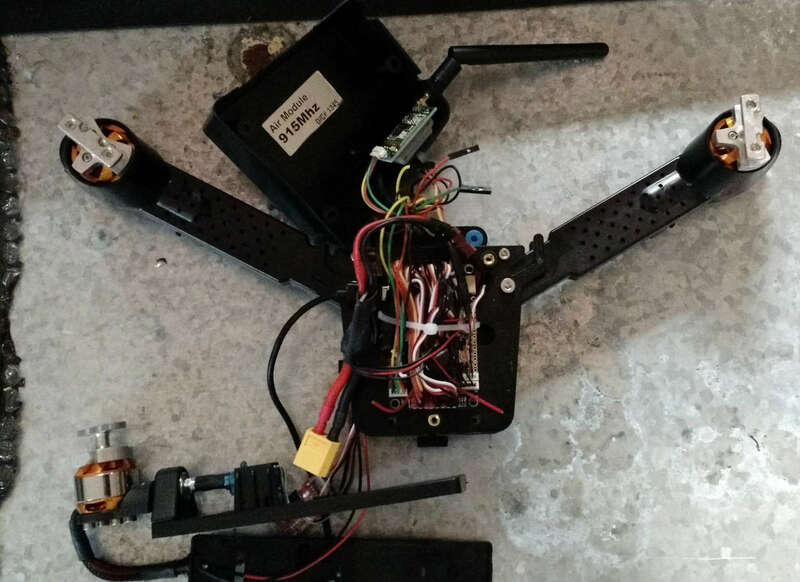 So I supported the kickstarter for the pocket drone and if you have been following the social around it you probably know that most people are not thathappy with what they received. Quick background,when I supported this kickstarter it was right when I was getting into MR's and I had only completed one build I think at the time and making a tri seemed impossible for me at the time. I have since built 3 Quads and a Tri and have rebuilt or repaired all of them at least twice if not more. Hindsight I would not have got it but oh well. Anyway I thought since I have this less then stellar investment I would try to do something with it. It does have a APM which I have yet to use but that is where my issue lays/lies (too lazy/mad at my Tri to google and understand difference right now). I tried to follow the instructions via airdriods video(which I knew was flawed) to at-least bind it to my DX6i which seemed all good but now when every I connect to the battery I get a fast beeping noise. Some googling tells me it's probably an issue with the ESC's that need to calibrated. But following a few video on how to do that seem to yield no results. I have also played with the trims as well to get it to zero out the throttle which may be an issue as well. I have also tried to update my firmware to the latest which slowed the beep for a bit then it went back to fast beeps. I thought I could reset the APM to default factory but when I try the terminal all I get is constant jiberish that doesn't allow me to enter anything. I've read there is a hard reset button supposedly some where on the board but most people seem to say it doesn't work anyway. So I'm now at thepoint where I'm not sure where to go. I'm still working fixing someof the hardware issues outlined in the communityuser guide, which is awesome(thank you community), the tailspecifically. After that if I can't get the APM to work right I mightjust trash the APM(which seems like a shame) and add a acro naze Ihave maybe even spring for the full so I can get some simmilarish(Iknow not too many) features. I know there are some dedicated APM forums so if you think my question might be better suited somewhere else tell me where (preferable one where they won't scare me away ). Just thought I would start a thread here since I haven’t posted anything for a while or done too much of anything with multirotors this winter. The cold and snow just kills all the fun for me...I also have three builds/rebuilds that has all my quad grounded as well. if the blade nano is consider a pocket id say they did good there too. As for the connection I want to saw PWM but I will post pics soon. The blade if definitely good in IMO not sure what counts as pocket though. I'd say thats just a marketing term. Even the Proto X would be awkward in a pocket. Here some pictures of my tri as of right now. 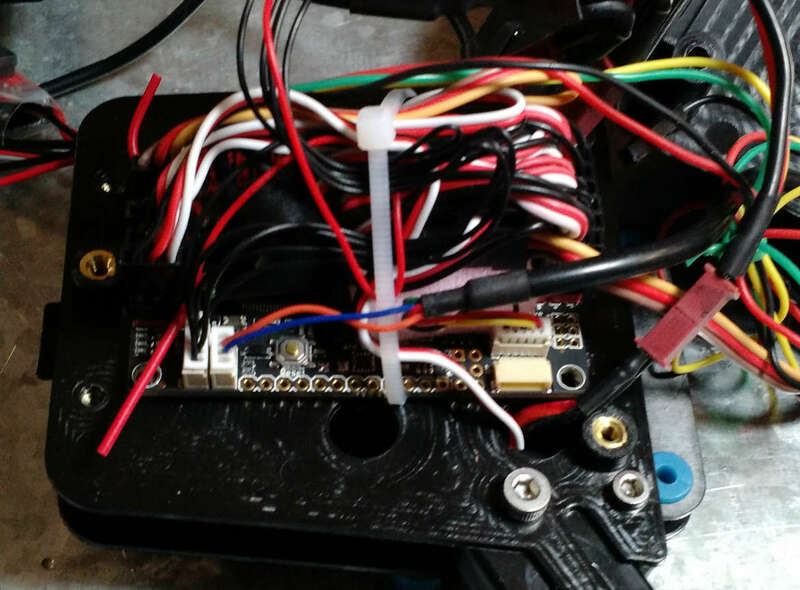 I followed and contributed to the rcgroups thread on this copter from day one. For about a week it looked like they may have had something. But very soon indicators started popping up something was amiss from the guys heading this project. The first was the dishonest aerial footage claiming it was from the PD. It was quickly pointed out that not only was it from a quad (a shadow is seem in a shot), but the quad was using a gimbal as well. Then they ran a video showing the PD had a 20 minute flight time, but did not mention strapping on an extra large battery that was made obvious from freeze framing the video. And claiming it was going to be "revolutionary", when it was also pointed out the PD used ordinary cheap Turnigy motors. And so on, if you read the thread, you'll see roughly half a dozen other indicators it was going to be a mess. But bottom line, I feel for everyone who got pulled into this train wreck. Wow, that's like a rats nest of wiring in there! If I had any experience with APM, I would give you advice, but I don't. There is a user on here, and I haven't seen him post in a while, his username is "ikem" I believe. He has a Fortis Titan Tricopter running APM2.6 I believe. Maybe you can send him a link to your thread in a private message and see if he has any advice. Yikes... 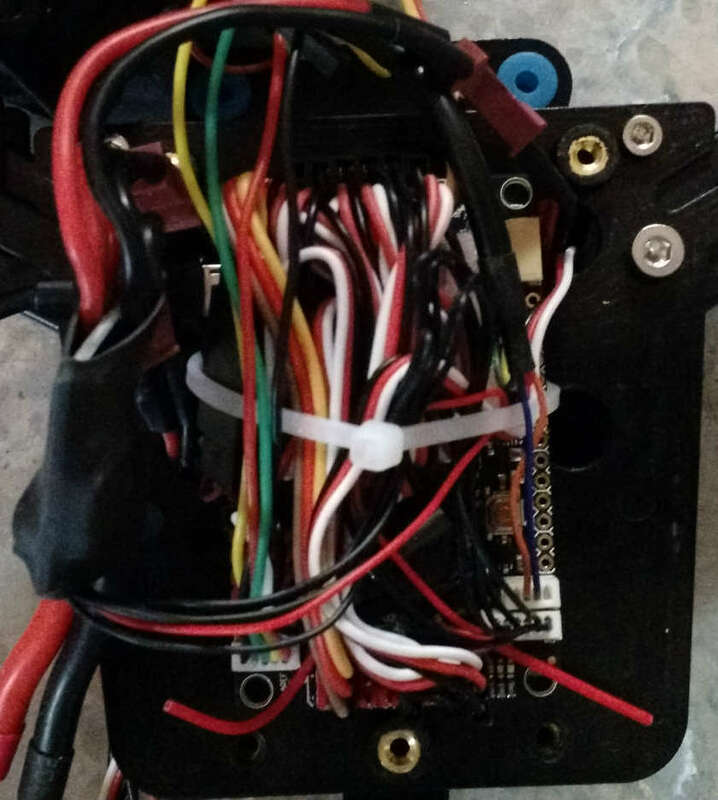 I have two APM 2.5's (one on a fixed wing, and one on a multirotor) and I have not seen wiring like that. I can't really make out any of the details. I suspect the problem is with the hookup. 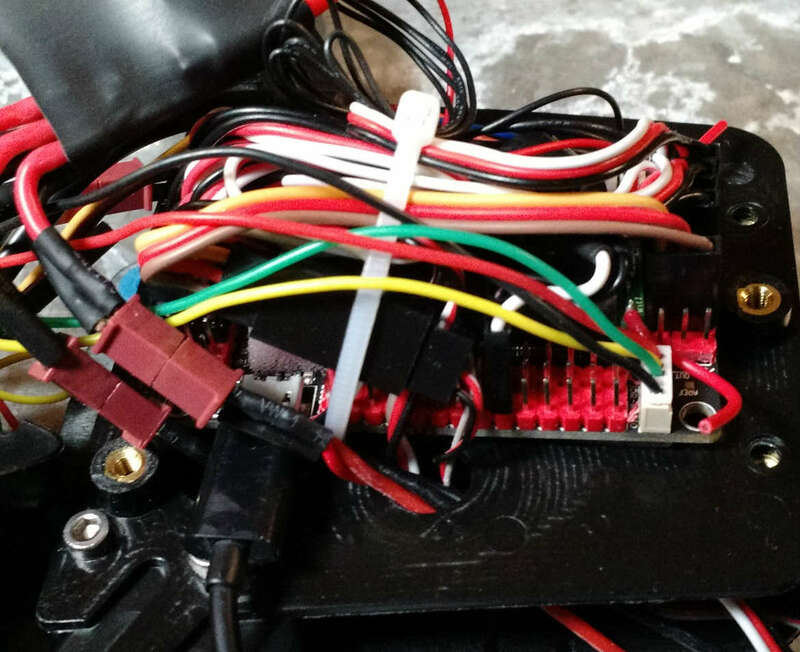 It almost looks to me like the RC input and motor outputs are connected to each other on that pic! I don't even see the RX. And connecting it as diagrammed there. 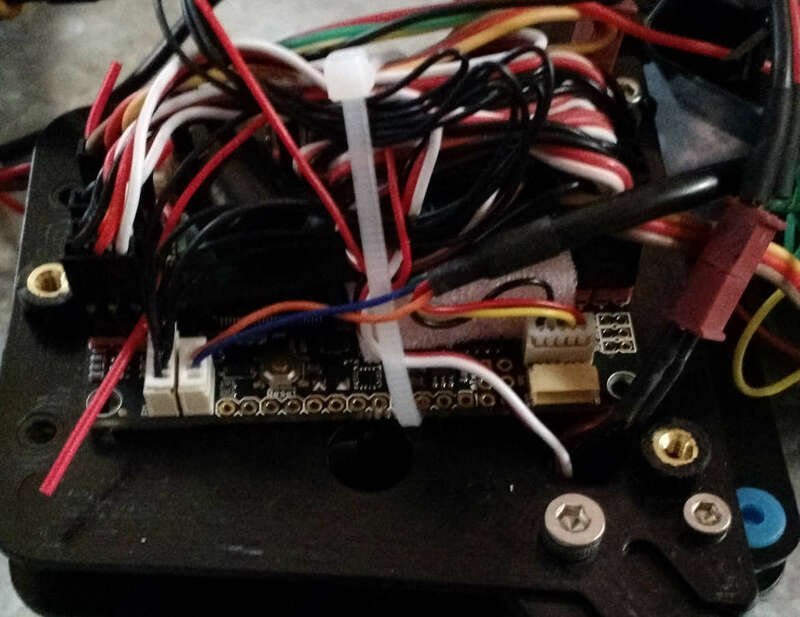 Ignore the gimbal connections. It doesn't look like they use the APM power module, and the "typical diagram" in the instructions above don't either, so you won't be able to do any voltage/current monitoring as-is. Yeh I bet they had fun with it on rcgroups I never really go there too much other then to get some great reference information. Looking back now I can't say how much of the hype I really bought into but I always assume they inflated their numbers, that's just what is done these days unfortunately. I would of been happy with half the flight time regardless of all the other hype and buzz words they used. I just though a folding tricopter was cool. Thanks for the links I really want to give APM a fair shot since it seems like it could be awesome. Funny how this was suppose be simply connect your radio and you fly. I think I'll give it a go and just try and un-connect everything and see if I can put it together the right via the links you provided. My gut feeling from development videos, is they hired minimum wage workers to do the bulk of the assembly. I think you got a board, motors and a servo. The rest of what you got usually happens in private and is not suitable for mention on this forum. 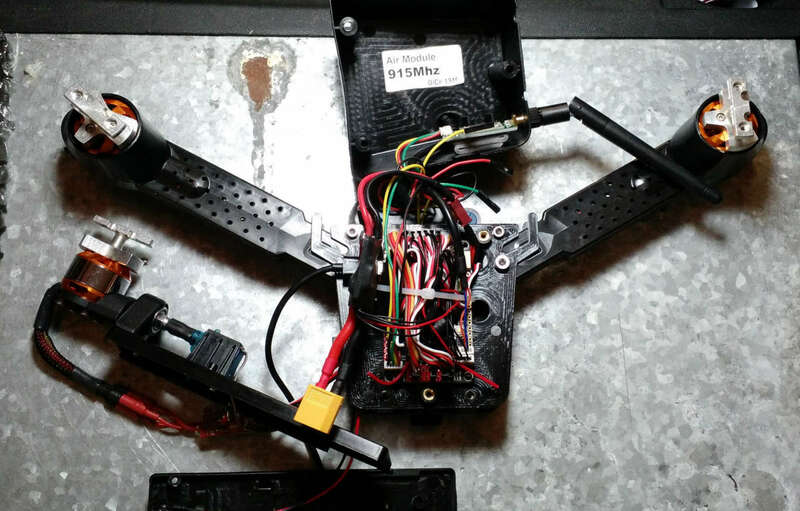 I would get a better frame and ESCs and build something magnificent. You certainly have enough wire to build whatever you want. & yeh its almost like I'm just building my own Tri which of course is what I should of done to begin with.